Welcome to Supportive Personal Care Services! Our company provides in home personal care services to elderly and disabled adults allowing them to remain in the comfort of their own homes. Do you know someone who needs our assistance? Recommend them to us! Find out about the payment methods we accept. Get to know the hard-working team who will serve you. Being a senior or a disabled individual comes with certain restrictions. Having trouble in doing your daily living activities causes your quality of life to dwindle. If you are dealing with this problem at home, it is important for you to seek assistance. Getting help from the right Personal Care Services in Wisconsin will help you enhance your way of life. Supportive Personal Care Services in Wisconsin humbly open its arms to the ones who need help. 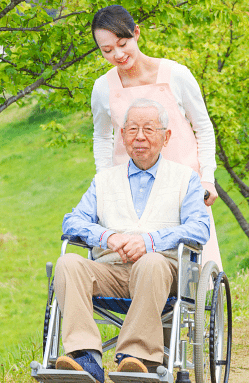 Our company provides personal care services to the elderly and the disabled persons in the comforts of their home. Our dedicated caregivers are more than willing to give the right care. They will help you age gracefully and help you improve the quality of life so you may become healthier and independent. Do you need assistance at home? Don’t worry. We are here to give you the care that you need and deserve. Call us at 414-365-9108. To meet our patient's expectation, we have made our efforts to personalize our services to meet the different needs of our patients. We make sure that the right level of assistance is being provided by our dedicated and compassionate caregivers. Medication management is made easy through our caregiver's help. We offer mobility support to seniors and disabled individuals. Our understanding personal care workers provide self-care assistance. Our greatest commitment is to provide the right level of care to the ones who need help. We aim to focus on a family-centered approach to achieve a unique service where our patients will feel comfortable and have a sense of well-being. It is our duty to personalize our brand of care so the diverse needs of our clients will be met.